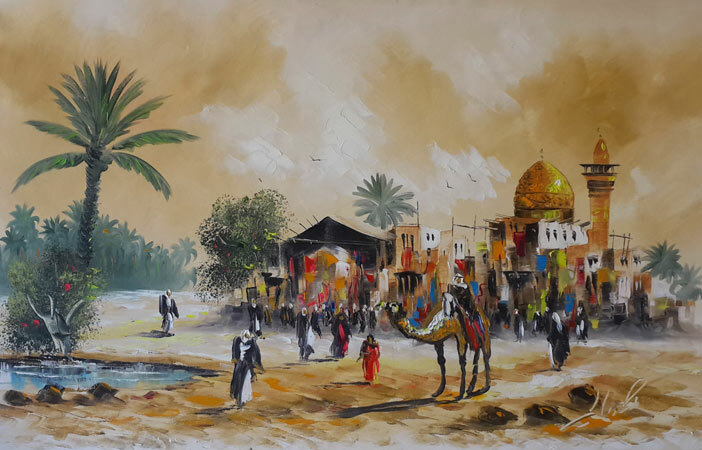 Baghdad Art is the first online art gallery dedicated to showcasing the work of Iraqi painters and making them available for direct purchase online. We set up this gallery out of enthusiasm and love for the beauty of Iraqi original artwork capturing the heart and soul of Iraq. The yearning we have for our hometown is something we all know too well. These masterpieces are like windows that transcend time and place to calm this longing… or perhaps ignite its fire! 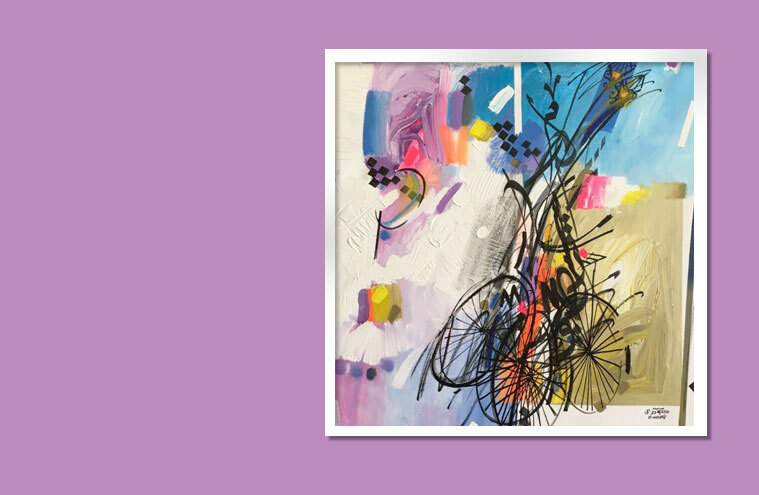 We know that purchasing original artwork is a not-so-easy personal decision. For this reason, we want to be able to assist you in determining if a particular artwork would fit nicely into your own living space. We do this by showing you how a particular artwork would look on your wall. 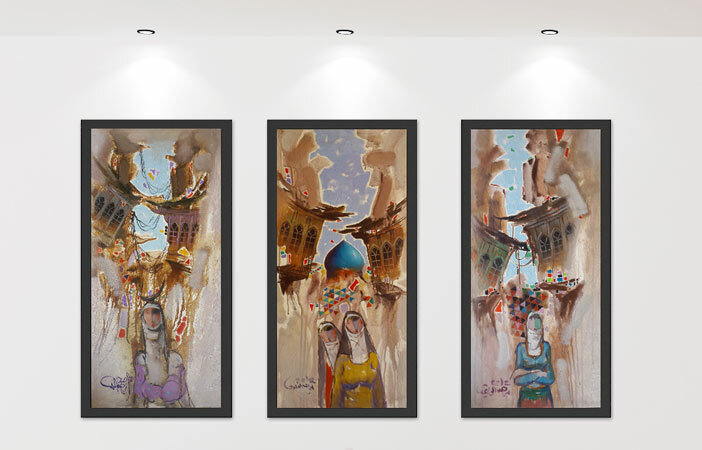 Just send us a photo of the space you intend to hang the artwork to our email visualize@baghdadart.com and we’ll try our best to make a mockup of it (assuming the a decent quality and well-lit photo is what you send). This will help guid your decision. All artwork is shipped to you as a rolled canvas in a cylindrical container. This reduces shipping costs of course since framed artwork will considerably cost much more due to the volume it takes. We accept payments through PayPal and for those who do not use credit cards we offer Payments via Western Union. We use PayPal for direct online payments to ensure credit card security which means that BaghdadArt will not be handling any of your payment information because all of this will be handled by PayPal which is one of the largest online payment processors in the world. It is free to set up and only takes a few minutes. Your satisfaction with your purchase is very important to us. Paying through Paypal also ensures the ease of any required refund in case you are not satisfied with your purchase or for any other reason. Refunds can also be done via Western Union, but the transfer fee will be deducted from the refunded amount. With PayPal, there is no deduction as long as the refund takes place within 30 days.